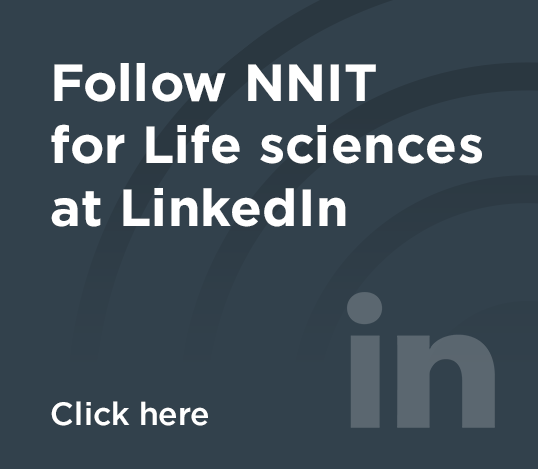 With more than 20 years’ experience, NNIT understands the challenges that life sciences businesses face. And we have the solutions. Our technology, information and life sciences experts deliver integrated IT consultancy services and solutions that increase the capabilities of key areas of the pharmaceutical value chain, including drug development, regulatory affairs, quality management and serialization. Since clients often have to deal with improving performance and containing costs, our solutions are fine-tuned to optimize business processes, reduce costs and shorten time to market. We use proven software and technology standards from Veeva, DELL/EMC, SAP, Oracle, Microsoft, Cisco and HP, which we then tailor to meet your exact needs. Whatever the solution, you are guaranteed that it is based on industry best practice, integrated with your existing IT landscape, and fully compliant with FDA, EMA and demands from other regulators.